Barna recently released their fascinating insights from one of the largest studies they have ever done on a single generation: Millennials. 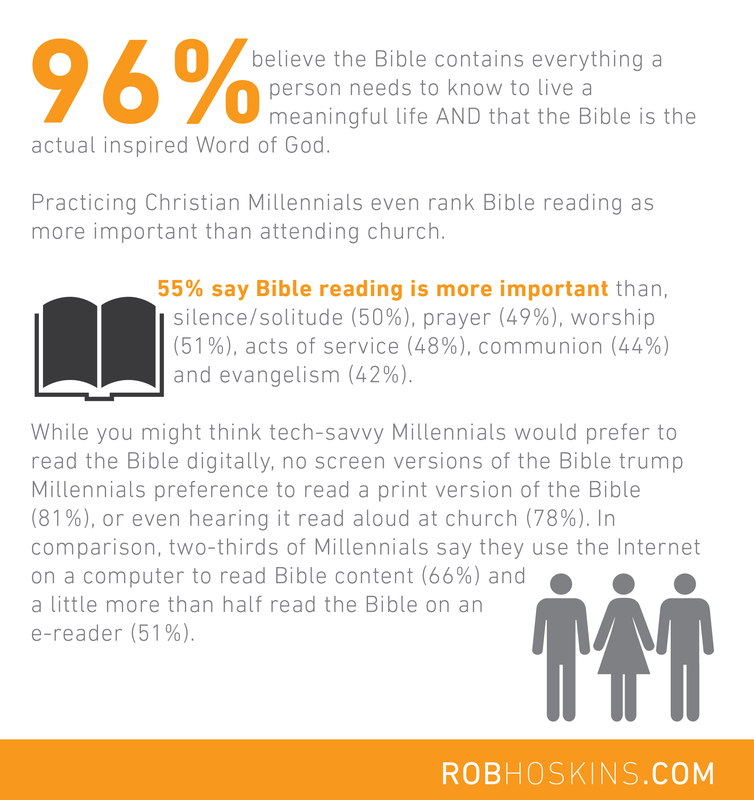 *Information in infographic from study on Millennials conducted by Barna Group in partnership with American Bible Society and InterVarsity Christian Fellowship. What’s the most challenging thing about your faith journey? 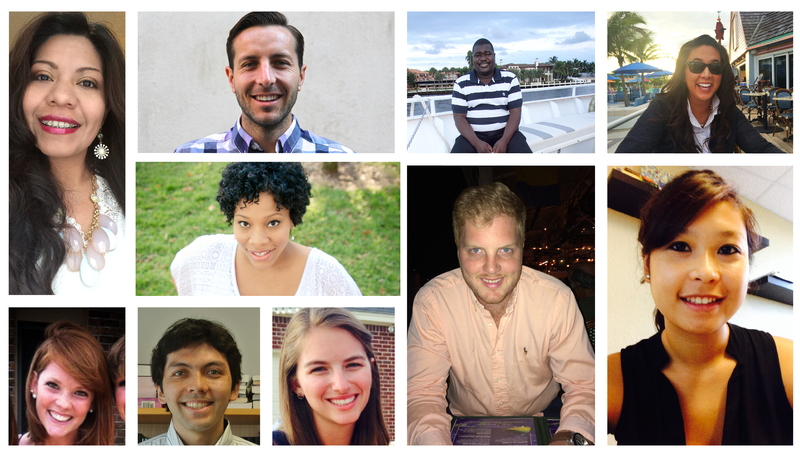 By 2015, 75% of the world’s employees will be made up of young people. This staggering statistic ought to wake up the Church. With the unsettling statistics about teens who don’t have a sticky faith, and young people whose apathy projects that they are, at best, “almost Christian,” we are taking the numbers and research seriously. At OneHope, we are committed to investing in this Millennial generation because they are packed with potential. Speaking destiny into their lives and giving them a chance to be involved in DOING today will ensure that we are training up strong Christian leaders for tomorrow. Next we’ll see what our Millennials have to say about the world’s perception of their generation of faith. What if our kids’ first Bible is an app? Is the Bible gaining popularity or losing ground?